Deep learning and IoT are two game-changing technologies that have the potential to revolutionize the stakes for oil and gas companies facing profitmaking pressure in the face of the dramatic drop in price of oil. In this blog, based on Flutura’s extensive experience in the oil and gas industry, we have highlighted three practical use cases, from the trenches, where these technologies are practically applied to solve real-life problems and impact meaningful business outcomes. In our first use case, we take a look at how algorithms can reveal patterns and information not easily seen in other ways. For instance, drones are increasingly being used for pipeline inspections. As these drones fly through a pipeline, they record an enormous amount of video footage. It’s very difficult for a human being to detect risks such as leaks and cracks in a pipeline. Deep learning algorithms can automatically detect pixel signatures from drone footage for cracks and leaks that humans can miss, thereby minimizing infrastructure risk. While working with several oil and gas companies, we were able to collect a great deal of data from sensors strapped onto upstream assets like frack pumps and rod pumps. Looking for anomalies in high-velocity time-series parameters is like looking for a needle in a haystack for mere mortals. 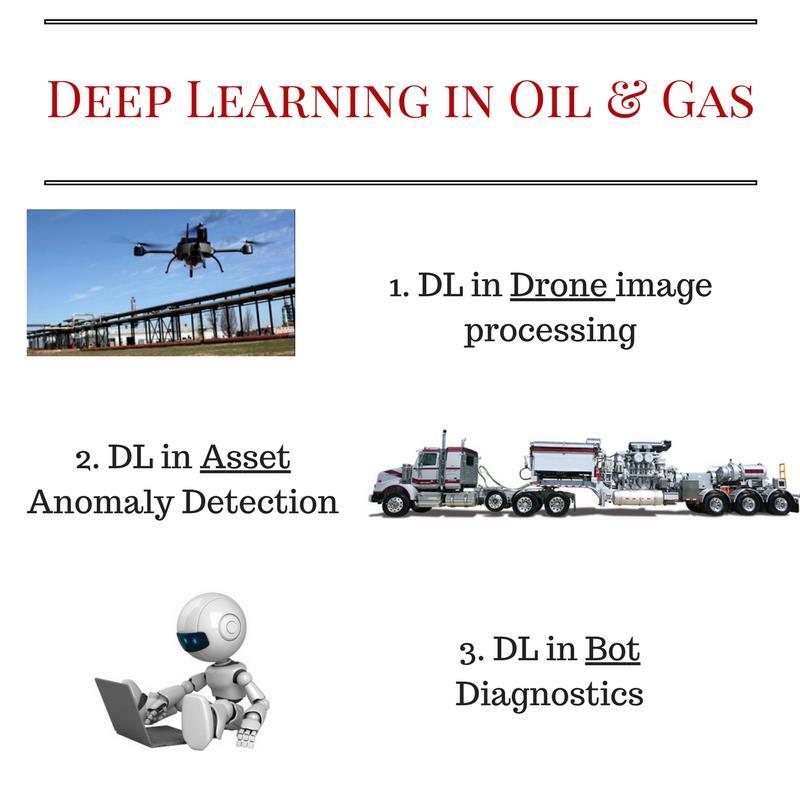 Deep learning algorithms can “see” anomalies that traditional rule-based electronic condition monitoring systems miss and can alert rig operations command centers. While providing remote diagnostic services to industrial assets, the conventional form of interaction is through traditional dashboard communications. With the advent of natural language processing algorithms powered by deep learning, field technicians can interact with the asset diagnostic applications through voice interactions just as bots help in customer service. The advent of deep learning and IoT has brought about great strides in learning, such as predicting and determining attributes, including insights on anomalism, digital signatures, and acoustic changes and patterns. Being able to see beyond what can be seen provides the potential, as is illustrated in our uses cases, to head off potential problems and structural failings, saving organizations time and money and keeping all that benefit from their services safer. 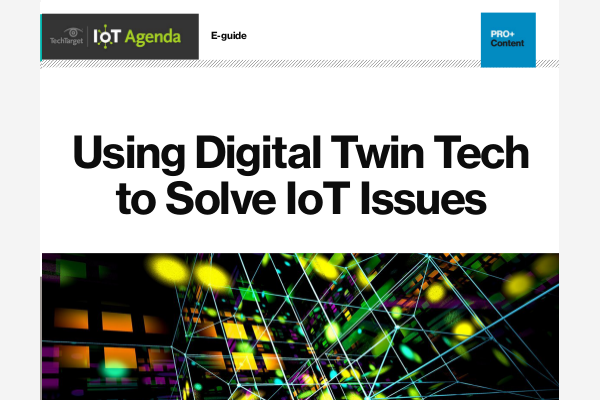 We envision a future where the twin digital capabilities of deep learning and IoT will differentiate the winners from the laggards in the competitive energy marketplace — and the first steps are being taken right now.